A super easy and quick dessert! As you can see, we made 2 different kinds -- and with PEACHES instead of plums. 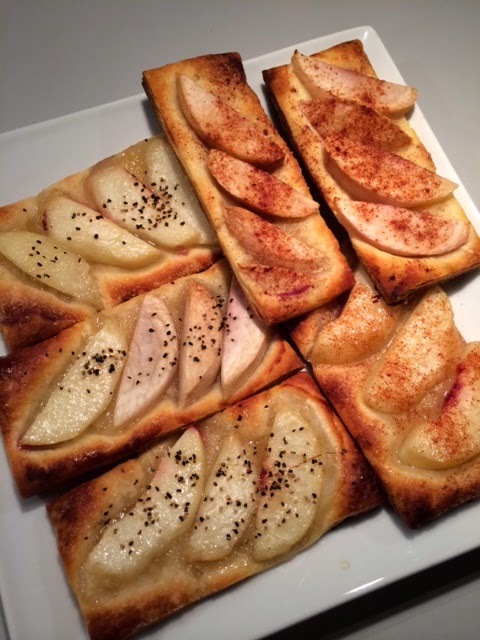 This was a great way to use up leftover puff pastry. We made this recipe which was just 6 ingredients: puff pastry, peaches, sugar, honey, black pepper, Maldon sea salt. And we made our own: puff pastry, peaches, cinnamon, sugar. Afraid to bake or mess up a dessert? This recipe is for you!